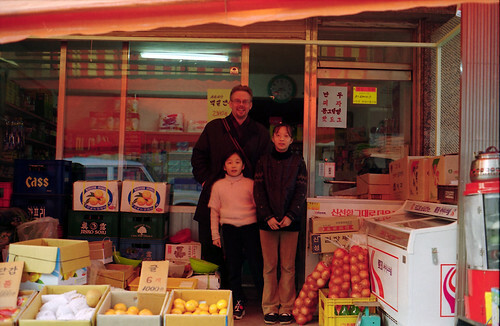 I have added three new photograph sets to my Flickr photostream, one being a collection of neighborhood grocery stores ("supermarkets") and the two others walks in Busan in late December 2006. Collection of pics of inside and outside of neighborhood grocery stores from 1998 to 2006. 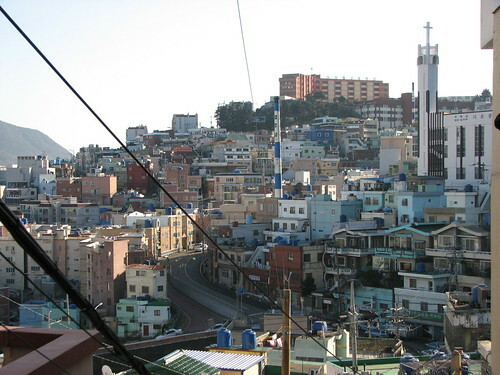 Walk in downtown Busan, beginning from the railway station, in Choryang-dong, Yeongju-dong and Bosu-dong. Walk in downtown Busan in Gondongeo Market, Nambumin-dong, Chojang-dong, Jagalchi Market, and Bosu-dong bookshop quarters. 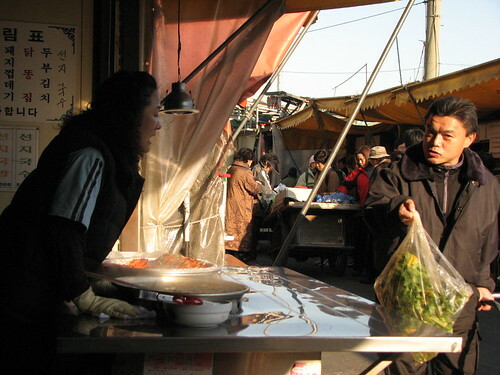 This photograph: man tries to sell ssiregi at a restaurant but is refused.